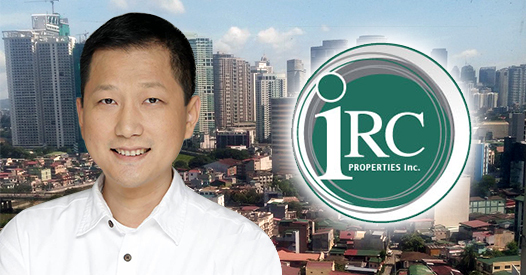 IRC Properties, Inc (PSE: IRC) has recently disclosed to the Philippine Stock Exchange that a group of investors led by Antonio Tiu is acquiring majority control of the company to invest in a mass transport business. The acquisition, which is essentially a backdoor listing, will enable Tiu’s group get an automatic listing in the stock exchange by avoiding the long process of doing an Initial Public Offering or an IPO. IRC, formerly known as Interport Resources Corp, used to be an oil exploration company until it shifted to real estate development in the early 2000s. The company owns a 2,200-hectare property in Binangonan, Rizal. It is currently developing a portion of the property in partnership with local real estate developers. Trading of IRC shares has been quite inactive in the past 10 years until recently, when speculations of possible entry of Tiu’s group circulated in the market early this year. Share price of IRC has risen by more than four times from a low of Php0.66 in March to a high of Php2.97 in late October. The stock has since corrected and stabilized at the Php2.40 level. 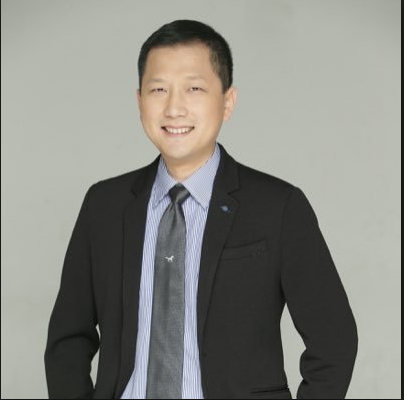 How will the group of Antonio Tiu enhance the long-term stock price appreciation of IRC? What can the market expect from IRC after the takeover? What are the terms of the acquisition and how will this help grow the company? The acquisition of IRC will involve a cash deal transaction where IRC will sell new shares to Tiu’s group, Aggregate Business Group (ABG). Under the deal, IRC will increase its authorized capital stock from 1.5 billion with par value of Php1.00 to 19.5 billion shares. The Securities and Exchange Commission (SEC) requires that 25 percent of the increase in capital stock must be paid up, which is 4.5 billion of the 18-billion share increase. ABG will subscribe about 4.1 billion shares of the required paid up while the balance will be taken by a foreign investor at a price range of Php1.10 to Php1.40 per share. Earlier this year, ABG took 26-percent control of IRC by acquiring unissued shares of the company and ownership shares from IRC’s major shareholder, T&M Holdings. ABG will effectively own 75.6 percent of IRC after the deal is completed. The total cash infusion of IRC’s new investors will be about Php4.96 billion, net of listing and processing fees. IRC plans to use a bulk of the proceeds, which is about Php4 billion, as initial working capital budget for its infrastructure projects. IRC has incorporated a new company called Alternative Metro Transport System, which plans to engage in transportation projects such as subway, ferry and bus operations. The balance of the proceeds will be invested in real estate development projects. About Php835 million will be used in land development and housing construction of Casas Carlina, Php27 million for technical and documentation of new subdivision project and Php93 million for clearing of land with total size of 20 hectares. IRC is positioned to transform from a real estate developer into an infrastructure investment company. This shift in business focus is reflected with the change of the company’s official name from IRC Properties, Inc to Philippine Infradev Holdings, Inc.
Just recently, IRC and the City Government of Makati finalized an agreement on a mass transportation project in compliance with the Makati Public-Private Partnership (PPP) code. The project, which will build and operate a subway system in Makati City, will take five years to finish at a cost of about $3.7 billion, or roughly Php200 billion. IRC has also sent a letter of intent to the Metropolitan Manila Development Authority (MMDA) to rehabilitate and modernize the Pasig River ferry service. IRC is expected to raise more funding via its subsidiary, Alternative Metro Transport System, as the company gears up for big projects. The entry of new investors will strengthen IRC’s balance sheet. Last year, the total cash balance of the company was only Php1.9 million as of December but with the initial capital paid up, total cash reserve has increased to Php844 million as of September. This will enable the company to immediately execute its plans while waiting for the balance of the funding upon approval of the capital increase by the SEC. It is interesting to note that the new management of IRC has appraised the land value of its property in Binangonan, which resulted to additional land reserve capital of Php8.3 billion. This expanded the company’s total equity from Php1.4 billion as of December last year to Php10.4 billion this year. The higher equity base will increase the company’s debt capacity up three times its capital to finance its growth. Current share price of IRC at Php2.40 appears to be undervalued considering that it has not yet fully captured the full value of its land assets not to mention the growth potentials of its mass transport projects. With an expanded capital of Php10.4 billion, IRC’s book value per share stands at Php6.93, which offers a 65-percent discount to its current share price. The median Price-to-Book Value of listed companies at PSE is about 1.7 times. This means that for the stock to trade at par with median, the share price must eventually go up to Php11.78 per share. The long-term appreciation in the stock beyond its book value should be supported by market’s expectations of the company’s ability to grow in the future.